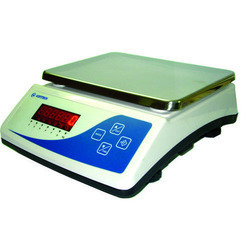 We are the leading manufacturers and exporter of Carat Scales and our product is made of good quality. In addition to this, our carat scale is appreciated among customers owing to its accurate results. Our carat scale is available in numerous specifications at competitive rates. We are the leading manufacturers and exporter of Gold Scales and our product is made of good quality. Compact, Light weight, and portable. 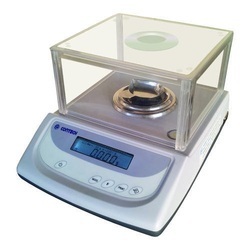 Multiple weighing units, gram & carat. 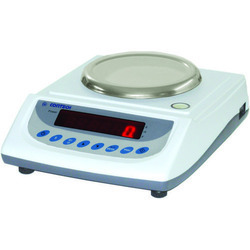 We are the leading manufacturers and exporter of Silver Scales and our product is made of good quality. Offered silver scale is manufactured by using optimum grade component and the latest techniques by our skilled professionals. This silver scale is high on demand in the jewelry shops for measuring the silver weight. Also, this silver scale is well tested by experts so as to deliver a defect free range from our side. We are the leading manufacturers and exporter of Pocket Scales and our product is made of good quality. 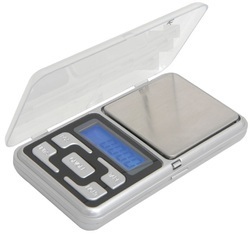 The given pocket scale is manufactured by using superior quality component and high tech techniques. Offered pocket scale is available in various specifications and customizations options as per the need of patrons. This pocket scale is widely known among our customers for its matchless qualities. LCD Display with blue color backlite. Looking for Gem & Jewellery Balances ?